I have wanted to try out Revlon's Colorstay Moisture Stain for a while now but have had other stuff on my list first. I finally got around to getting this a couple of weeks ago, however, I was quite disappointed with it. It doesn't go on easily, and I have to keep using the brush to smooth the gloss over so it looks even and consistent in the colour. Application wise that is not something you really want, when I put on lip gloss I want it to go on easily and quick, I don't want to have to keep going over the same bit to make sure it looks right. The texture was a bit too thick for my liking as well and I also dislike the shade. I thought it would be a nice calm dark orange colour for autumn but it is more of a brighter orange and wasn't my cup of tea, but that doesn't mean it wouldn't look great on other people it just didn't suit me. 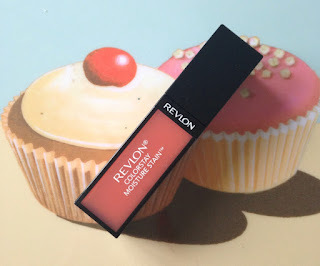 I love Revlon products and lots of their lip products which are great. This is the first product of theirs I have not liked but it won't put me off trying other of their lip gloss products in the future. What do you think of Revlon's Colorstay Moisture Stain?